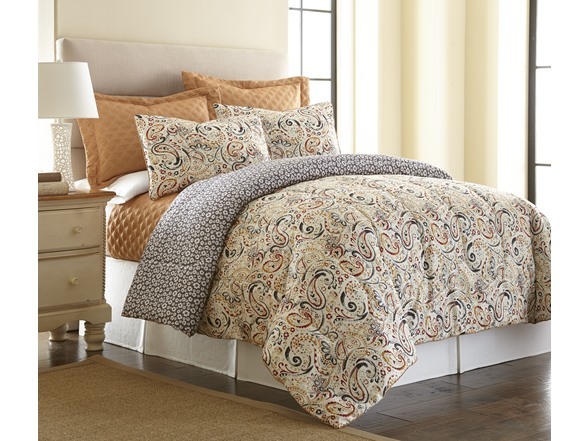 This elegant set displays a beautiful pattern with vibrant hues to brighten up your bedroom. The reversible comforter and pillowcases give you two stylish sets all in one. This 6-piece comforter set is dedicated to making sure you're in style even when you're asleep.